Cybercrime & Your Business - What you need to know - Grip I.T. 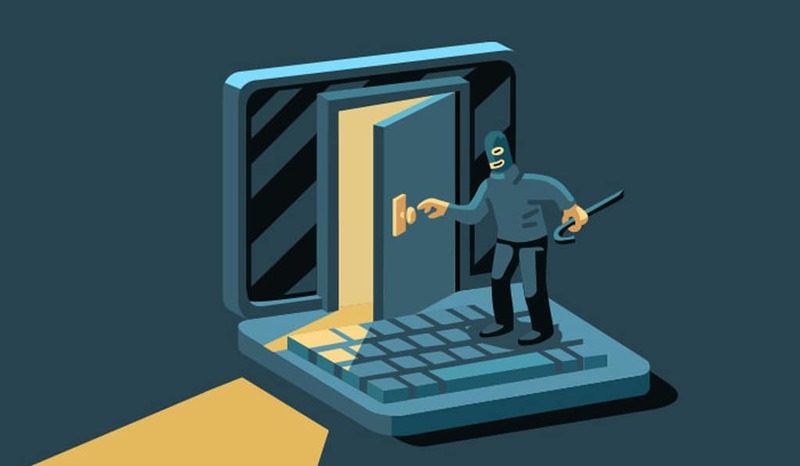 Cybercrime is one of the largest threats facing business owners today. Each year, about 60% of small businesses are hacked or experience some type of cyber threat that seeks to steal their sensitive information. More companies are using computers to handle bookkeeping, credit card transactions, and managing customer information each day. This means you’re at risk even if your business doesn’t seem like a large enough target. Believe it or not, there are many types of hackers that target businesses. In this guide, we’ll look at the four most common so you can better protect yourself and your customers. Think of these hackers as the least experienced of the bunch. They’re typically just starting out and rely on programs and external tools to hack into computer systems. Most script kiddies are not interested in growing their skills or becoming a professional hacker. Instead, many do it for the thrill or simply because they can. They’re still dangerous, but their inexperience makes it easier to defend against them. These types of hackers steal data from small and medium-sized businesses with the goal of making money off the information. This can be done by using your customers’ credit card numbers, selling the data to another party, or even ransoming the information back to you. These computer hackers are believed to have caused as much as $450 billion of damage globally in 2016 alone! Hacktivists are computer hackers that break into databanks with the goal of furthering their political or social agenda. These hackers typically go after large corporations and government offices, but that doesn’t mean small businesses are immune. If you have information that relates to a cause the hacker is passionate about, they may still decide to hack you. Inside hackers, sometimes referred to as “insiders,” are hackers that have ties to your company. Most often, these are past or current employees, but they could also be clients or co-owners. This type of hacking can involve stealing your company’s private information, operations systems, and intellectual property. But, they can also go after financial information. For these types of hackers, the main goal of hacking the business’s computer system is to get back at them for something they believe is unfair or unjust. Though hackers are becoming increasingly more common, there are a few things you can do to keep these different types of hackers from accessing your information. Cloud hosting allows you to store all sensitive information off-site. These designated data centers are secured and monitored against hacking and illegal activity. Your private business computers are not. Simple passwords are easy for hackers to guess. Use strong passwords with special characters and change passwords every month or so. Software development companies put out new updates to make their programs more difficult to hack. Make sure each computer is up-to-date and running the latest version of their operating system. Even when you’re careful, your company still needs a good security strategy in place. We’ll work to keep your computer and your sensitive data safe from both internal threats and hackers working across the globe. Contact us today to see how we can help protect your company against different types of hackers.